Amid a mixed bag of crude oil inventories data, with a decline at Cushing but total crude stockpiles rising, WTI posted another decent rally yesterday, with the market gaining $1.03 to $101.34. The geopolitical tensions definitely lent a helping hand as US President Barack Obama said that the crisis in Ukraine may get worse and sanctions on Russia could include the energy complex. Gold prices finally held onto their losses after dropping below the $1,300 mark as the growth in US GDP boosted confidence about an ongoing recovery, even if it was slightly less than expected. In turn, that fuelled fresh concerns that an interest rates hike is just around the corner, which sent investors out of the precious metal. Consequently, the gold market dropped by $14 to settle at $1,291.2. Despite a bigger than expected build for the overall crude inventories, stockpiles at Cushing, Oklahoma declined for the eighth week, sending US crude oil $1.1 higher to $100.29. Also responsible for the cross into triple digits was a heightened demand for gasoline, now reaching a 3 month high. Gold tested the psychologically important $1,300 support level and briefly crossed below it. Bargain hunting did manage to push the market back up, but the session ended $6.2 down at $1,305.2. Further challenges on the aforementioned support may be on the cards. WTI crude oil lost $0.23 to $99.20 and rebounded marginally in overnight trading largely on the back of expectations that US oil stockpiles are still elevated. The US Department of Energy will release its inventories data later today so further builds are on the cards, with 2.5 million barrels expected. 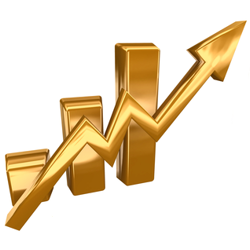 A rebound from a five week low for gold prices posted gains of $1.6 to $1,311.2. Considering that the Black Sea tensions are far from over and that the G7 threatened more sanctions for Russia, the rise could be seen as rather anaemic. Is this a sign that investors have taken on board the earlier than expected interest rates hike? Speculation that crude oil stockpiles climbed for the tenth consecutive week triggered a slight drop in the price of US crude, with the market losing $0.10 to $99.43 per barrel. Earlier in the session, the energy had managed to break into the triple digits area, driven by the weakness in the dollar. Gold spread betting prices resumed their slump yesterday, posting a steep drop of $26.2 to $1,309 amid a flat result overall for the equities. It seems that the possibility of higher interest rates is getting harder to shrug off despite the geopolitical tensions which usually offer support. With Russia completing the annexation of Crimea, the energy complex reacted by sending US crude prices $0.91 cents higher to $99.53 per barrel. Behind the gains was the fear that Putin might decide that Eastern Ukraine should also be part of Russia. Overnight, Chinese PMI fell for fifth month in a row thus keeping oil prices on the back foot. The gold market snapped a string of four downside sessions, closing $5.9 higher to $1,335.2 on the back of the conflict between Russia and Ukraine. A lot has been happening over the weekend and better safe than sorry, investors pushed up demand for safe haven assets.